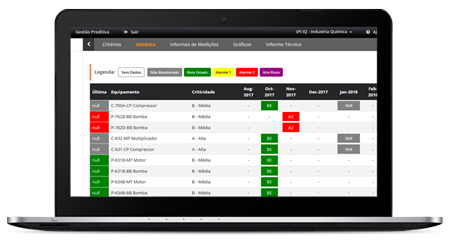 Maintenance management tool that can be integrated with any ERP in the market, with your supervisory systems, data collectors and online monitoring. 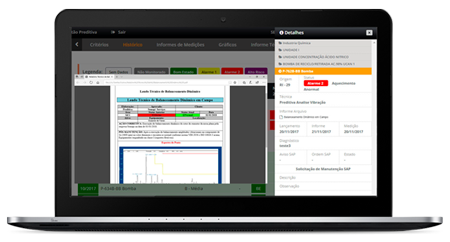 Accumulates all predictive information history of all the equipments of your factory plant, allowing the real time monitoring of critical points for your production. 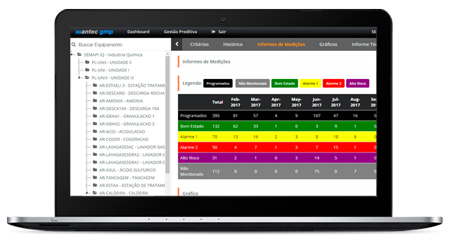 Customizable graphics for practical and immediate analysis of equipment status. Access to equipment, history, criticality, alarm types and performed techniques. 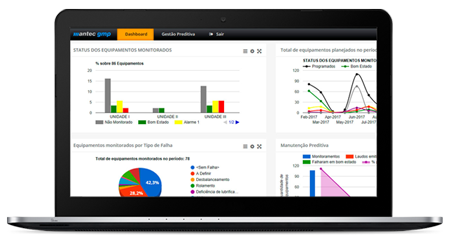 In a click, it is possible to analyze the status of each device from month to month, giving an overview of its maintenance. The status of the equipment is detailed and gives direct access to the technical reports of the measurements made. Have all your measurements programmed via inspection routes with all the details you need. 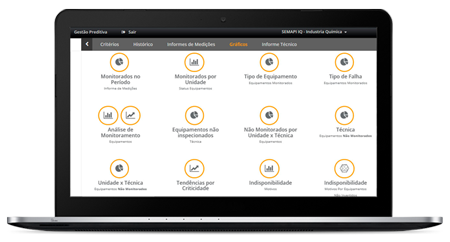 Several options for management analysis and visualization of the status of the equipment and indexes from the maintenance area.